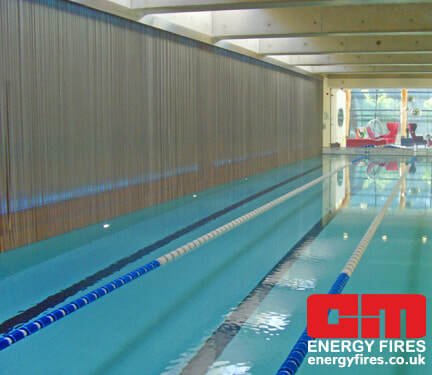 A+M Energy Fires - What we do! We all love a cosy wood fire with its warmth, ambiance and comfort and that includes solid fuel, gas, or even an electric fire. However, this is frequently overshadowed by worries about sparks, falling embers or smoky chimneys. Our ancestors may have accepted these as necessary evils but in a modern house these days we need to protect carpets and furnishings from sparks and keep our newly decorated rooms from the effects of smoke. In addition, most customers praise our Fireplace Doors for the saving of expensive house heat up the chimney achieve, at the same time they eliminate the draught caused by the flue, even when the fire is not in use thus saving energy and allowing you to reduce your heating costs. 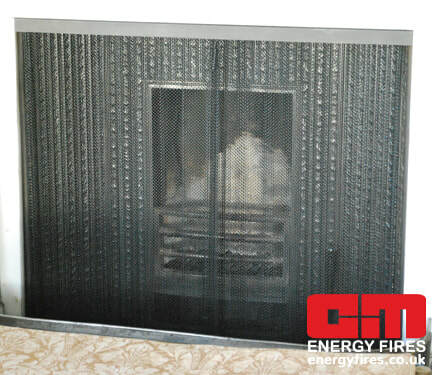 Our A & M GLASS FIREPLACE DOORS have overcome problems with modern fireplaces for many years. 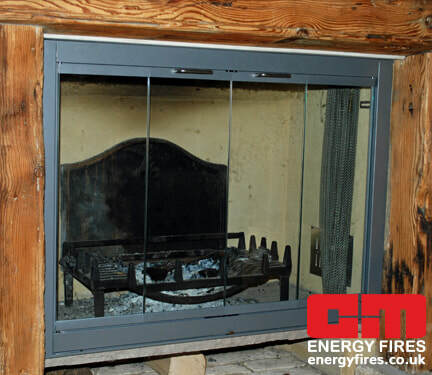 They are not ordinary fireguards or safety screens but attractive modern glass enclosures which can be manufactured to fit any fireplace large or small with the minimum of installation work. With our doors you have a safe, neat and attractive addition to your room which will last for years. An additional benefit is that doors may be left open, to enjoy the snap, crackle and pop of an open fire, but be closed for safety when you leave the room or retire to bed. No need to worry or wait for the fire to die down. We can supply doors made-to-measure at no extra cost to suit all fireplaces, large or small, raised up the wall, down on the hearth, double or triple openings, etc. We can also provide mesh spark curtains as an extra to go behind the doors, if required.